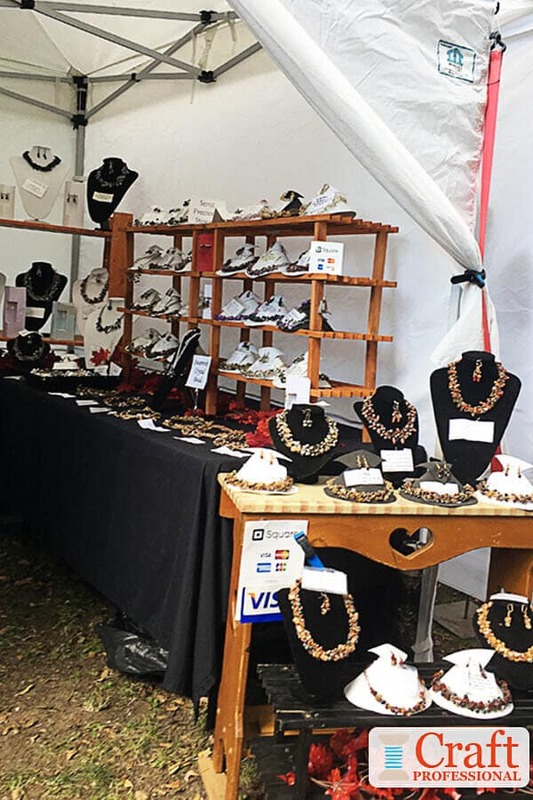 These seven photos of jewelry counter displays will give you some inspiration for your own jewelry booth. If you use a tabletop setup, be sure to work to achieve a variety of height in your display. 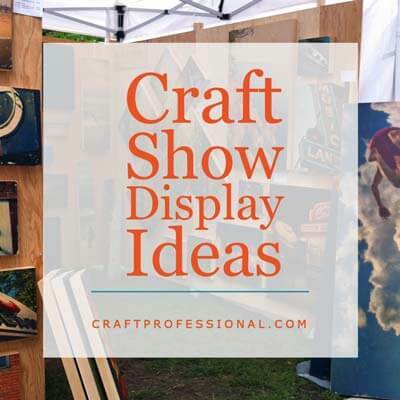 Neutral colored display stands are easy to work with, but an accent color, like the blue in the first and last photos can help add interest and draw attention. 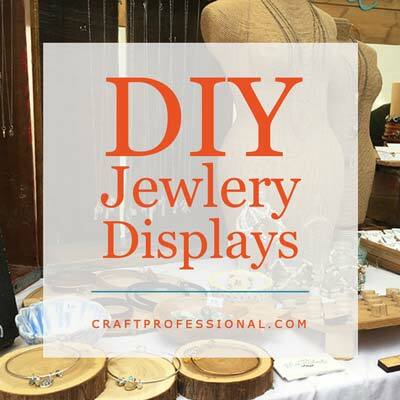 This simple tabletop jewelry display is beautiful, effective, and affordable. 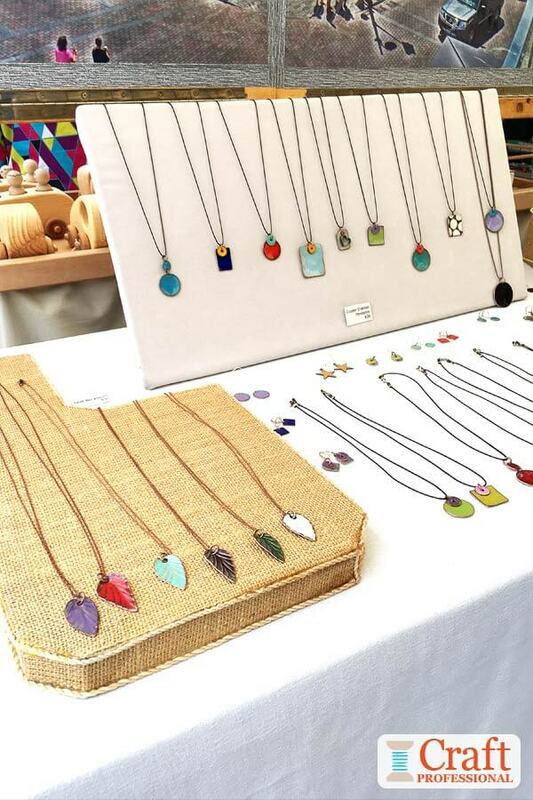 Pendants, rings, and earrings are displayed on wooden blocks of various sizes. You could DIY these jewelry stands quite easily. Simply cut wood pieces in a variety of sizes and heights to suit your needs, or find a friend to cut them if you're not handy with a saw. Then paint the blocks to suit your style. Notice these blocks are a combination of natural wood, white, and blue. The color mix works beautifully with the jewelry. Pretty, understand plates add texture and interest to the display, and cone-shaped ring holders add some more height variety. This booth goes against so much of the advice I normally give about booth design, and I love it. 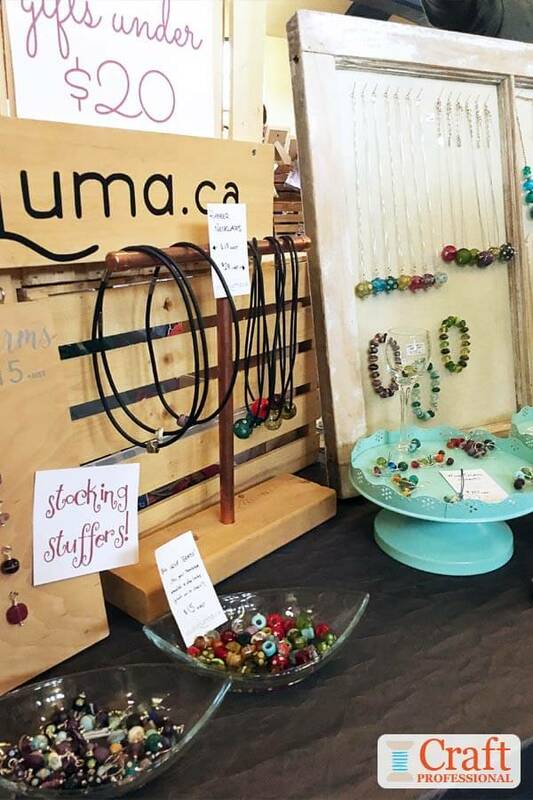 It's completely jam-packed with handmade jewelry, but it works. 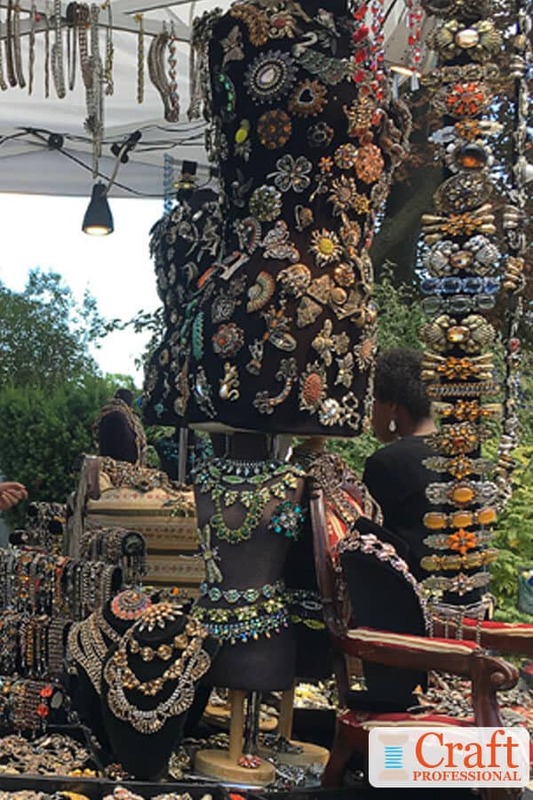 I've seen this jewelry designer at several shows, and his booth is always filled with customers. 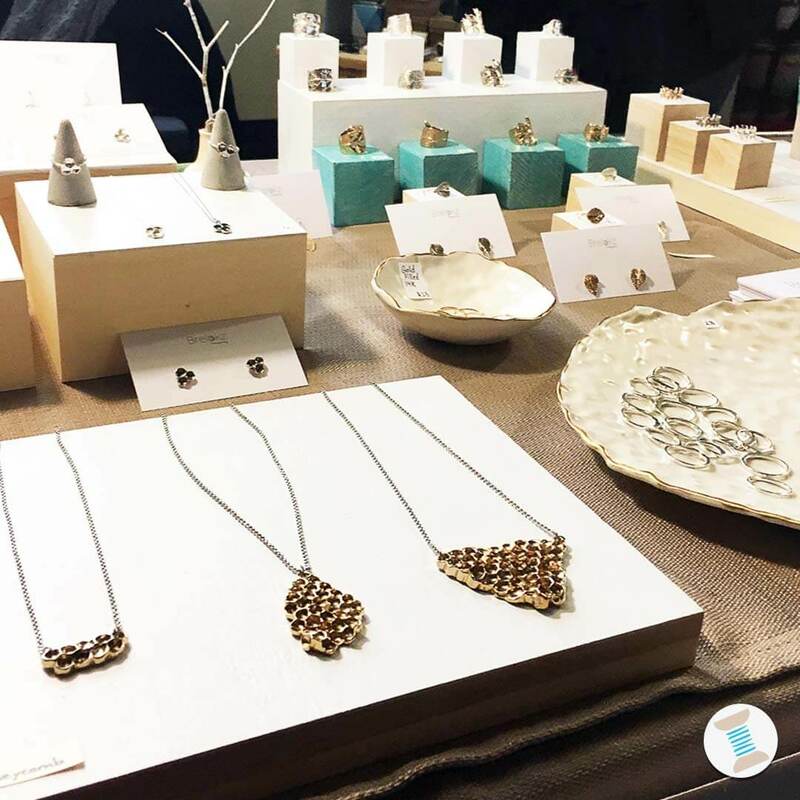 The audacious, sparkling booth is a perfect fit with the bold, flashy aesthetic of the jewelry. Although the booth is filled, it's artfully arranged. 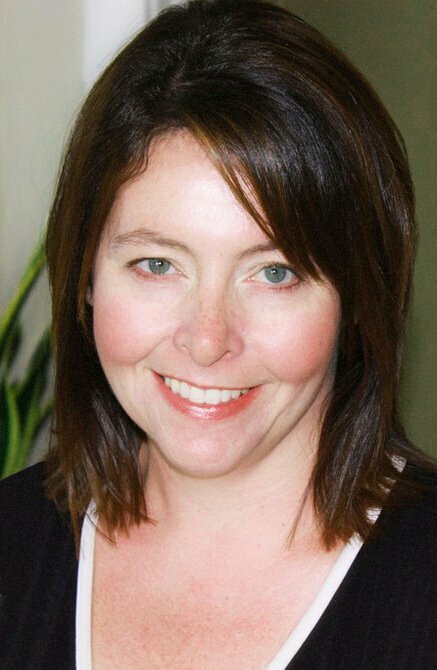 It's a spectacular example of taking your aesthetic and working it, without compromise, throughout your display. I've written about this booth in the past, so if you're curious to see more photos of it, you'll find them here. Next, we have two views of the same booth. Mixing black and white jewelry busts is quite popular. The small, wood table on the two outside corners invite people walking along the path to stop and browse. 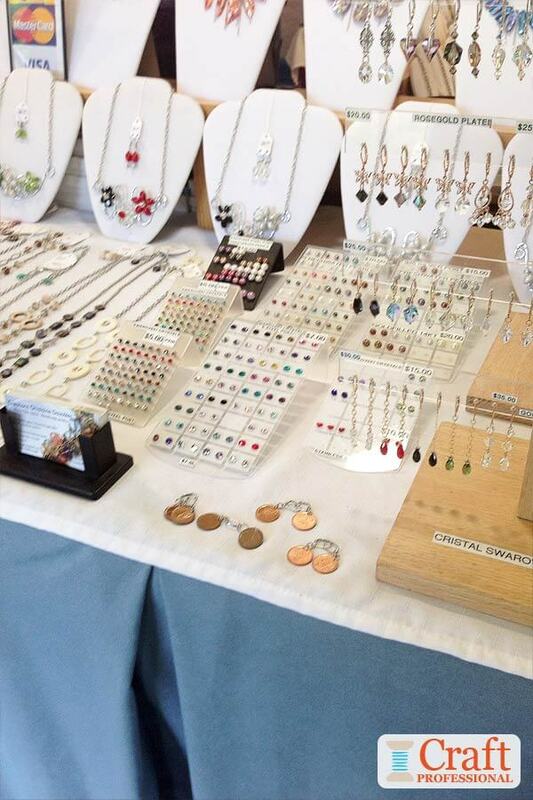 The trick with tabletop jewelry displays is to get a variety of height. Using a few different types of display stands of differing shapes and heights can help to add interest to your booth. 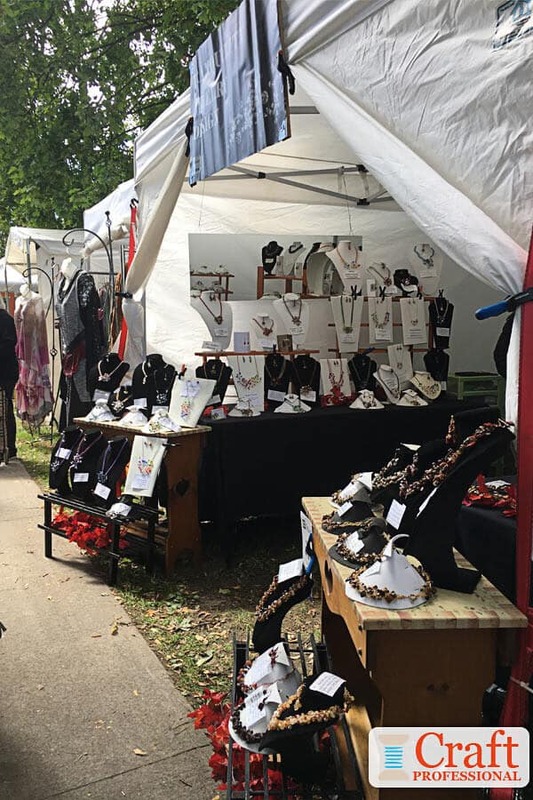 Your stands can be different as long as they work with the style of your jewelry and as long as they work together as a whole. I love the signs used in this jewelry display. This booth was set up at a holiday show right before Christmas. The signs reading "stocking stuffers" and "gifts under 20 dollars" are perfect for that time of year. Twenty dollars is the price limit a lot of people tend to put on certain gifts, so letting customers know you have items available at that price point is smart during the Christmas gift giving season. Also, pointing out items that would be perfect stocking stuffers is an excellent way to bring in curious holiday shoppers and boost sales. 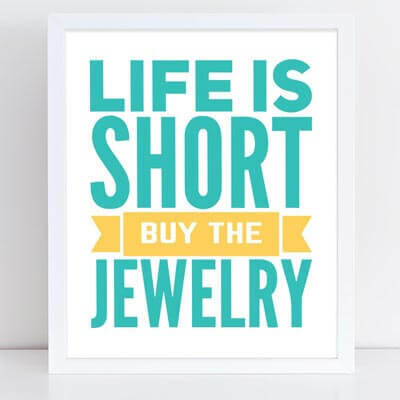 If you're looking for some signs to brighten up your jewelry booth and encourage shoppers to splurge a little bit, I have just what you need in my Etsy shop. 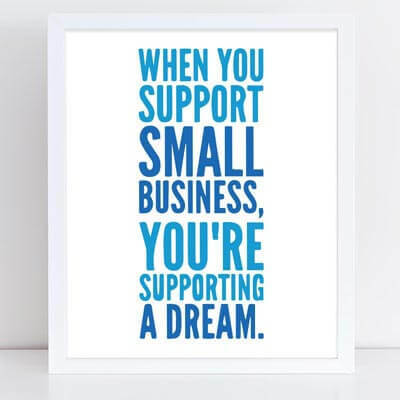 Click on the links below if you'd like to check them out. 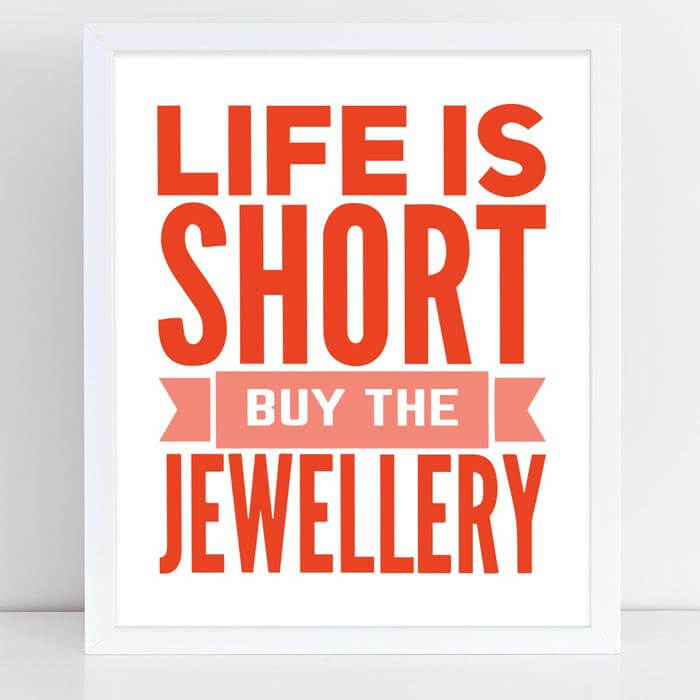 For those who live in countries that prefer the spelling "jewellery" I've got you covered! 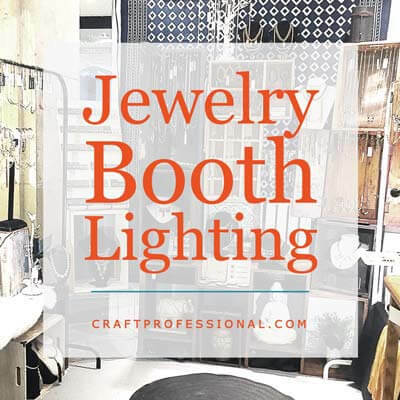 Light up your jewelry booth! Loads of craft booth photos.